On July 13, 2018, at Flavors in the Garden within the Diplomatic Club, the International Day of the Fegime Group was celebrated. 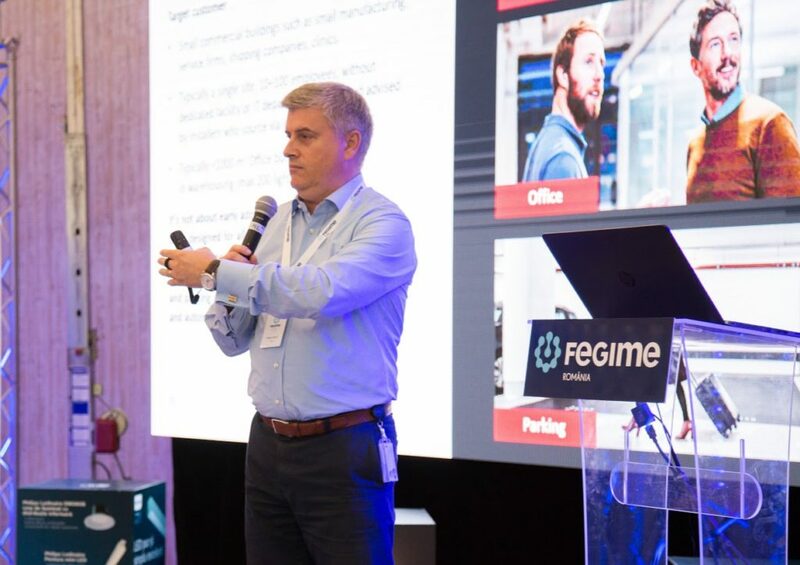 The event was attended by all employees of Fegime members as well as representatives of the group’s partners (Philips, Gewiss, Schneider Electric and Eaton). The event was also attended by David Garratt, Managing Director of Fegime Europe. Mr. David Garratt spoke at the opening of the event, thanking the group partners (Philips, Gewiss, Schneider Electric and Eaton) for attending the event organized in Romania and congratulating the members of Fegime group in our country for the development of the group and for projects implemented by it. 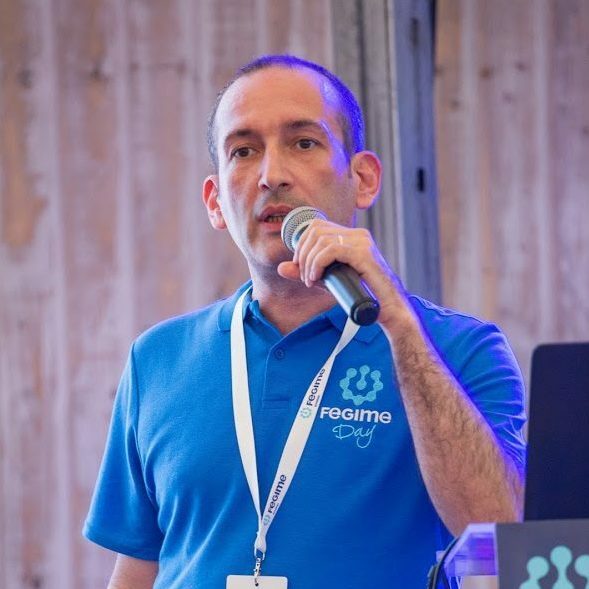 Costin Cuneşteanu, General Manager of the Fegime Group in Romania presented the projects implemented in the last year and the group development strategy. 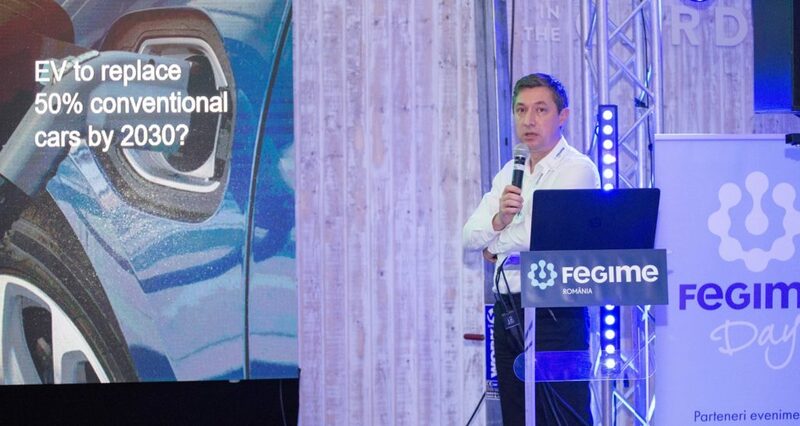 In order to improve the services offered to the group preferred suppliers, Fegime will implement the national data center, which will manage the information about products marketed by the members of the group. Fegime will also launch its own marketing portal for customers of the group members (electricians, installers, electricians). The portal will allow both personalized marketing campaigns and the provision of the latest information on market trends and technological developments in the field of electrical equipment. 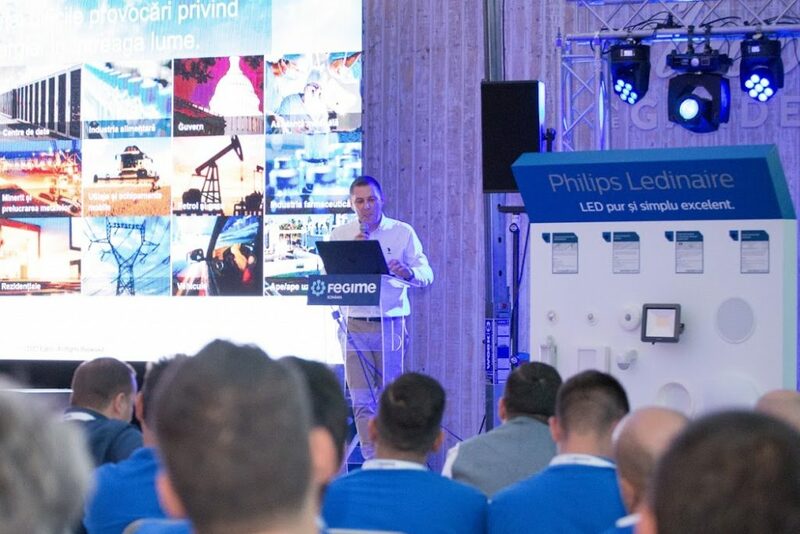 Mr. Bogdan Balaci, General Manager for South East Europe, announced that Philips Lighting changed the name to Signify, its products remaining under the Philips brand under an existing license agreement with Royal Philips. The decision to choose the new name is based on the fact that light becomes intelligent language that connects and transmits information. Mr. Dan Roşu, General Manager Gewiss Romania, together with the company’s representatives, presented Gewiss passive houses, exemplifying the first passive premium house in Romania and one of the top 9 in the world. 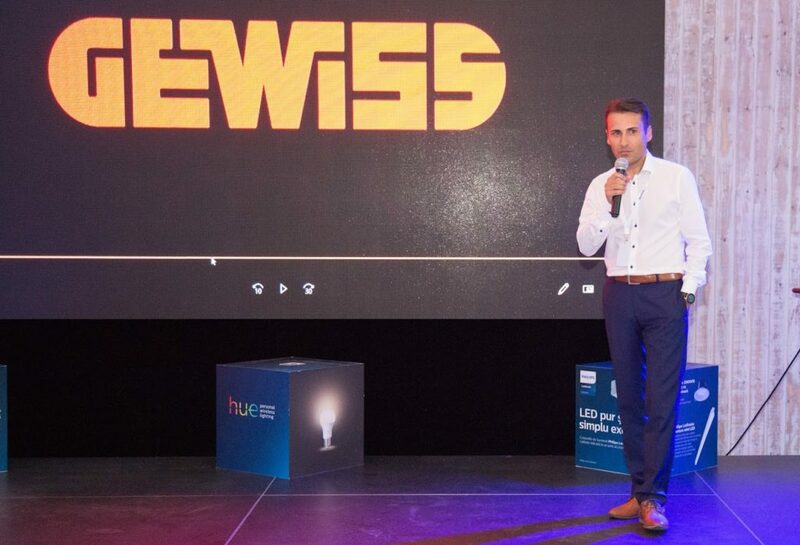 Gewiss’s solutions within the passive house project #casabuhnici include a wide range of products, from sockets and switches to the complete smart home system. Mr. Lucian Enaru, Sales Manager of the Schneider Electric Group in Romania, spoke about the influence of the digital era on the electrical equipment market, presenting the largest projects made by Schneider Electric in Romania and all over the world. About the evolution of Eaton and the brands that it has developed over time, spoke Mr. Costin Petcu, Director of Distribution within the group. Eaton has numerous innovations in all branches of the electrical equipment industry, from low voltage systems and devices to high voltage electrical appliances. Like every year, the event ended with the Gala Dinner organized by Fegime Romania. 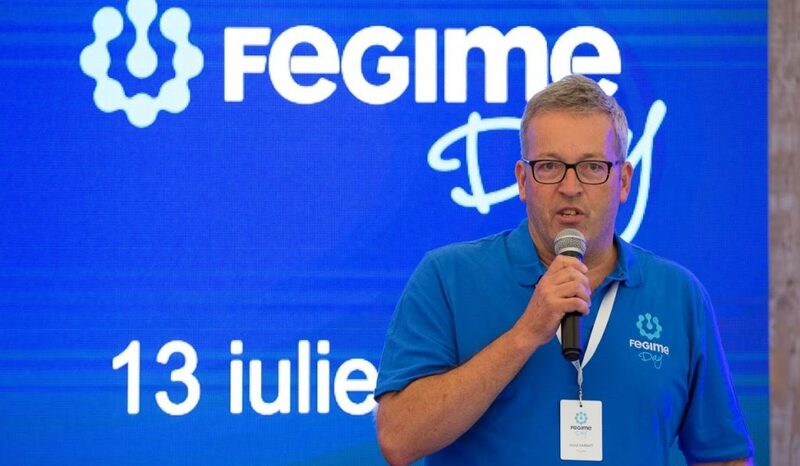 The Fegime Day event was born three years ago at the initiative of the Fegime Academy Management Program (FAMP) and takes place in all countries where the Fegime group is present.